The Sterling pound today rallied slightly against the US dollar after the UK Parliament approved Sir Brady’s amendment allowing the Prime Minister to renegotiate the Irish backstop plan. The pound’s gains were limited by the fact that the European Union has categorically stated that it will not reopen negotiations regarding the current Brexit deal as it is final. The GBP/USD currency pair today rallied from a low of 1.3066 to a high of 1.3122 and was within this range at the time of writing. The cable was trading in a tight range for most of the Asian session before dropping lower then rallying higher in the early European session. The currency pair rallied higher following reports that Theresa May was scheduled to have a phone conversation with Donald Tusk the European Council President. The pair had fallen drastically after the Copper amendment was rejected, which could have allowed for an extension of Article 50. Most investors are scared that a hard Brexit may be inevitable given that there is no clear alternative to the current Brexit deal if the European Union decides not to budge. The currency pair’s gains were further sustained by the weak US dollar as the US-China trade talks get underway with many investors fearing that the talks will not yield a deal due to the US fraud charges against Huawei. The cable’s short-term performance will be influenced by Brexit developments and the US Fed policy decision scheduled for 19:00 GMT. 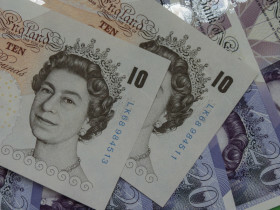 The GBP/USD currency pair was trading at 1.3102 as at 11:54 GMT having rallied from a low of 1.3066. The GBP/JPY currency pair was trading at 143.31 having risen from a low of 142.80. If you have any questions, comments, or opinions regarding the Great Britain Pound, feel free to post them using the commentary form below.